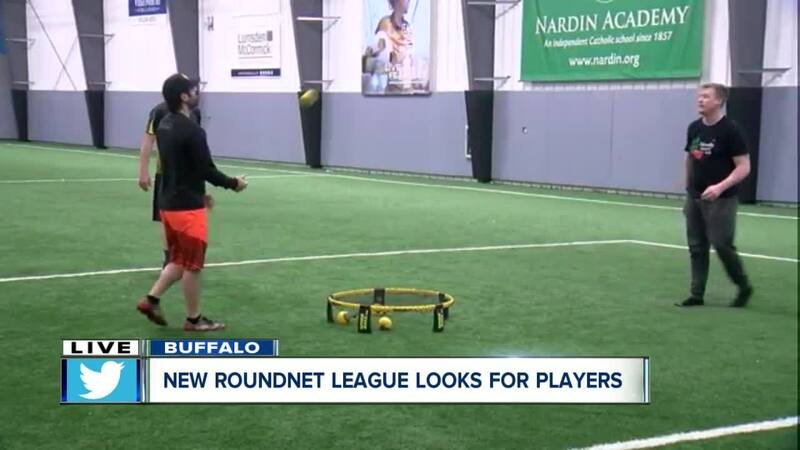 You can join WNY's spikeball league, or roundnet, by playing in North Buffalo. 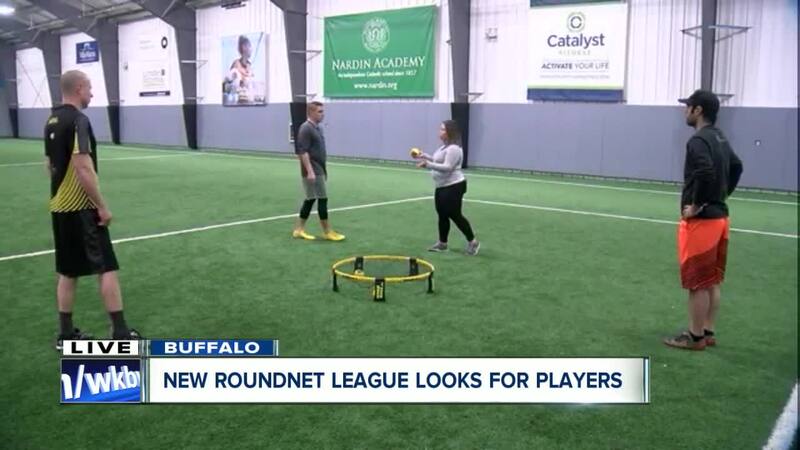 BUFFALO, N.Y. (WKBW) — It takes four people, your hands, a net and a ball to play Western New York's hottest new game. Roundnet has been taking off all across the country. You'll often hear it referred to as Spikeball, which is a brand that sells the products you need for the game. The game consisits of a low, round net, a rubber ball and teams of two. It's played similarly to volleyball, where a team serves against another team and tries to score points. Points are scored when the ball hits the rim of the net, the ground or bounces more than once on the net. It's played all around the net in a 360 degree fashion. Players have three alternating touches to return the ball to the net. WNY Roundnet, headed by one of the co-founders, Karl Chodora, is hosting a winter league. It starts Thursday, January 24th. 24 teams of two will face off to be WNY's roundnet champions. Games are played from 9 p.m. to 10 p.m. at the Nardin Athletic Facility. To register or for more information, email WNYroundnet@gmail.com or follow them on Facebook . The sport has been growing in popularity in WNY played outside in the snow, inside school gyms, at backyard bbqs and anywhere with some flat open space!